Can You Go to Canada While in a DUI Deferred Prosecution Program? Certain types of DUI offenses and offenders may qualify for state-specific programs that result in a dismissal of the case against the defendant once specified conditions are completed. These types of programs aim to allow the defendant time to rehabilitate themselves and demonstrate that they are capable of behaving responsibly, and usually include some form of counseling or probation. A deferred adjudication program is one such arrangement in which the defendant must first plead guilty to the charge but ultimately can avoid a formal conviction for DUI. An American participating in a deferred adjudication program can be denied entry to Canada due to criminality. Similar to deferred prosecution programs, pretrial diversion programs can also enable an individual with a first offense DUI to avoid a criminal record. A pretrial diversion program does not require the defendant to plead guilty or "no contest" since the case does not actually go to trial unless the accused fails to meet the program's conditions. Even without a guilty plea, however, a DUI deferral or other similar program such as pretrial intervention (PTI), accelerated pretrial rehabilitation, or accelerated rehabilitative disposition, can render an American criminally inadmissible to Canada. There is no presumption of innocence when it comes to Canadian immigration, which means that any foreign national who has been arrested for DWI risks a Canadian border denial until they have documented proof of a favorable outcome. Want to enter Canada with a suspended sentence? Phone our Canadian immigration law firm now for a free consultation. Between the time the arrest occurred and the deferred judgment program commences, the individual may be inadmissible to Canada without a valid Temporary Resident Permit. 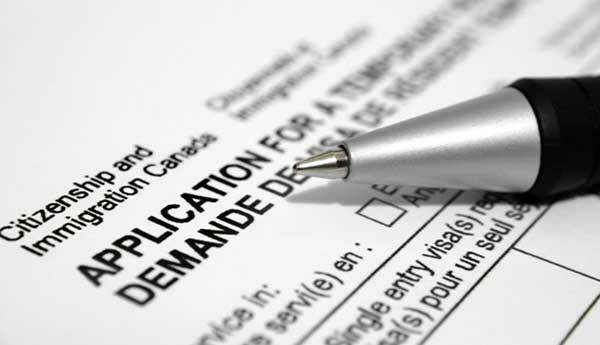 While the person is participating in a deferral program, he or she may still be inadmissible to Canada since a "no conviction" result cannot yet be demonstrated. The only way to overcome criminal inadmissibility to Canada is by being issued a Temporary Resident Permit or through a process known as Criminal Rehabilitation. Once an individual has successfully completed the DUI deferred prosecution program and has documents to prove that the case was either dropped or that they were officially found "not guilty" of driving while intoxicated, he or she may once again be eligible to enter Canada. Even after finishing a DUI deferment program, however, a traveler should consider hiring a knowledgeable Canadian immigration lawyer to write a legal opinion letter explaining their admissibility to border authorities. In many situations, a person can still be considered criminally inadmissible to Canada even after going through a deferment program and will consequently still require a Temporary Resident Permit or Rehabilitation to avoid the risk of a border refusal. A deferred adjudication typically does not begin until after a defendant has pleaded guilty or nolo contendere to their DUI. The court will not enter a judgment of guilty, however, and if the defendant fulfills all the conditions laid out by the court the DUI charges will be dismissed. Common conditions of a one year conditional discharge for a simple DUI with no priors include completing a DMV drunk driving program and paying a large fine ($500 - $1500). The main difference between pretrial diversion and deferred adjudication is that in pretrial diversion if the defendant fails to meet the conditions of the program they must go back to trial since there was no prior guilty plea. While there are several different terms used by various states to describe pre-trial diversion programs, they all do essentially the same thing which is remove a defendant from prosecution prior to a guilty plea (or no contest plea, often called nolo contendere). Although the requirements for conditional discharge programs can be difficult to meet, many first-time DUI offenders opt for it regardless since it allows them the possibility of avoiding a criminal record and the heavy consequences that come with that. In certain states such as Minnesota, instead of the court not entering a guilty judgment defendants will alternatively get a sentence of "Stay of Adjudication". Regardless of which specific DUI program a person participates in; pretrial diversion, deferred adjudication, probation before judgment, or stay of adjudication, the result will almost always be "no conviction" (nothing entered on their criminal record) as long as he or she successfully completes all the terms involved. Since the language used in the program documents can amount to "not guilty of DUI" for the purposes of Canadian immigration, some people who have fully completed a DUI pretrial diversion or adjudication deferral (with proper documentation) may be admissible to Canada, provided they have no other criminal history. In such cases, a Legal Letter of Opinion from a Canadian immigration lawyer is strongly advised before attempting to cross the border. People who may be suffering from alcoholism, drug addiction, or mental health problems, and are arrested for DUI, may have the option to defer prosecution in order to treat their illness in the hope that no future violations of the law will happen. A deferred sentence for a DUI is pretty rare in many states, however, and is generally only granted when it is a first offense with a low breath test and the defendant has no prior criminal history and completed all the assessments and classes required. Individuals who complete this strict treatment program can have their charge dismissed, at which point they may no longer be considered criminally inadmissible to Canada. Deferred prosecution is an alternative to fighting a DUI charge in jurisdictions such as Washington State, and involves petitioning the court to attend a prescribed treatment program in lieu of challenging the allegation in a trial. It is typically only possible to get this deal once, and the person must waive their right to challenge the evidence in order to be accepted. There is typically no jail time involved and provided the individual did not refuse a breath test he or she often does not lose their license. An ignition interlock device, weekly AA meetings, and monitoring by a probation officer may all be involved with the process. Since Canadian border officials can use an arrest to refuse entry to a visitor even if no conviction has occurred, people who need to enter Canada while participating in such a program will likely need to obtain a Temporary Resident Permit. For a free consultation to discuss entering Canada during or after a conditional deferment of prosecution for driving under the influence of alcohol or drugs, contact our law firm today!